The amazingly beneficial Goji berry has a unique flavor that can best be described as a delectable blend of tart cranberries and sour cherry. The flavor of rehydrated Goji berries is comparable to the deliciousness you experience when you bite into a sweet, ripe cherry tomato. These berries add fantastic flavor to sweet and savory dishes. There are plenty of reasons to get excited about vibrant colored dried Goji berries. These amazing berries have natural anti-inflammatory, anti-bacterial and anti-fungal properties. Incorporating Goji berries can boost your immune system, provide support to your digestive system, boost eye health and help protect your skin from ultraviolet radiation. 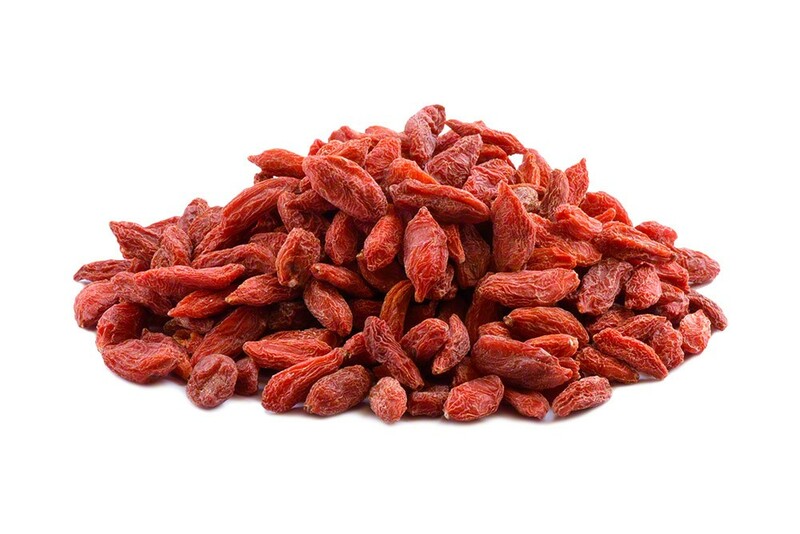 Goji berries are an excellent source of beneficial antioxidants. These berries help protect against cancer and can improve the effectiveness of chemotherapy. No wonder Goji berries are called a superfood. They are credited with improving your overall health, lowering stress, increasing energy level, improving your quality of sleep and making you feel happier. You’re never too young to start taking steps to prevent age-related diseases from disrupting your active lifestyle. One step you can take to improve your current and future health is to add Goji berries to your health-conscious diet. From a budget and convenience standpoint, making Goji Berries bulk purchases is the most economical way to acquire a supply of these tasty, healthy berries. Goji berries contain a high concentration of antioxidants that protect against degenerative diseases such as rheumatoid arthritis, numerous types of cancer and Alzheimer’s disease. These berries can also help you maintain good eyesight as you get older. How to Eat Dried Goji Berries? With the many health benefits these delectable berries provide, you’ll want to find Goji berries wholesale and purchase bulk amounts so that you can enjoy the berries in a variety of ways. The best way to experience the unique flavor of these dried berries is to taste them yourself. Typically, the flavor has been described as a blend of cranberry and cherry flavors. You can use Goji berries in much the same manner as you would raisins. They can be added to baked goods, sprinkled on a salad, stirred into oatmeal or cereal, added to your favorite trail mix recipe or simply enjoyed one handful after another as a healthy snack. Soaking dried berries in hot water will rehydrate them. Once rehydrated, their flavor more closely resembles a sweet cherry tomato. Rehydrated berries can be added to smoothies, sauces and salad dressings. When you have set a weight loss goal, making Goji berries bulk purchases should be high on your priority list. Weight gain is often the result of giving in to cravings for sweet treats, overeating at mealtime, eating too many snacks between meals and not getting enough physical exercise. Goji berries can help you reach a weight loss goal. 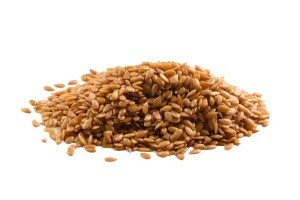 Their high fiber content makes you feel full faster and retain that feeling of fullness longer. Foods with a low glycemic index help satisfy your appetite. Goji berries are a low glycemic food. These berries contain chromium which is a mineral that helps control blood sugar and supports metabolism. Goji berries contain nutrients that help convert food into energy. Goji berries contain amino acids that promote more growth hormone which in turn helps the body burn food as fuel rather than store it as fat. Goji berries can help increase stamina and endurance so that you can engage in an exercise program to support your weight loss goal. There are some possible side effects of Goji berries that you need to be aware of before adding them to your diet. Drug interactions are one side effect. Goji berries can interact with blood thinning medications, diabetes drugs and blood pressure medication. If you have pollen allergies, you probably want to avoid eating Goji berries. When eaten in large quantities, these berries can cause dizziness, blurred vision and digestive problems such as nausea and diarrhea. Excessive consumption of Goji berries can result in an increase in an excessive increase in energy that disturbs your concentration or interferes with your normal routine. I had never had these before, but I took a chance. They are sweet and nutty, love them and they are a new favorite for snacks! The product arrived in a good way. The Goji berries were a little drier than I like. I’ve added dried apricots to the mix and that adds to the chewiness of the gojis. Great addition to our fruit and nut healthy snack. Wouldn’t eat them alone, but great in a mixture and for health benefits. I was pleasantly surprised of the flavor of these goji berries. I had never had them before so I ordered a sample. They have a flavor of very mild cranberries, tea and cherry. They have the consistency of raisins without being sticky. I am interested in trying them in place of raisins in salads, baked goods and snacks in general. I will order these again. I put these in my ‘healthy’ oat cookies and in my oatmeal and they taste great in both! If you’re using them in cereal or as a salad topping I’d recommend rehydrating them first. A great price too! They “absorb” some of the moisture off of the apricots, cranberries, blueberries and raisins and become much more tender. I realize they have to be as dry as they are so they do not grow mold and go bad. Great price on a healthy snack – Thanks! Our Dad literally asks us for more when his baggie of goji berries is running low, and loves snacking on them for the taste and health benefits. We enjoy them but find they stick in teeth a lot so we have soaked them in water and then added them to yogurt after they plump and they are delicious. Great antioxident properties and other benefits too! Love these – add them to my home made trail mixes. Love them!!! I cant wait to order more!!! Super healthy! Delicious and tangy but sweet the small seeds and stickyness does get stuck in teeth but really healthy as far as protein and antioxidants. The box i ordered came clumped together and with little bits of leaves in them but still great product- customer service assured me it was just naturally like that and safe to consume. 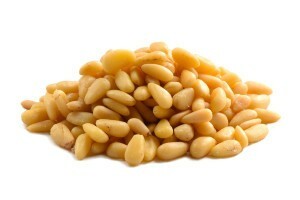 good in yogurt or by the handful with almonds also available at nutstop! Wonderful! 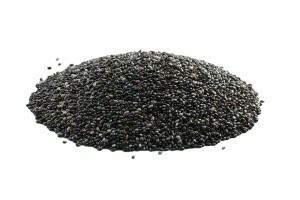 Packed with antioxidants, sugar inhibitors and protein and fiber!!! How can you go wrong with such delicious nutritious snacks? They are so good just as they are or soaked overnight in water to plump up. Just so great to snack on or mix in oatmeal or yogurt! These berries are so delicious! They are super healthy and wonderful either just as they are or soaked in water or almond milk overnight to slightly re-hydrate them. We enjoy these with yogurt and cinnamon as well as in curry and salads, and yes just as they are by the handfuls. Makes the best trail mix too mixed with almonds. Yes these are expensive but they are really quite good. They are chewy and a little sticky but my sisters and I like them in almond milk like cereal with cinnamon and they are supposed to be really good for you as anti-inflamatory and complete amino acids and omega 3s even. They go well with nuts and the apple rings nutstop sells here too. Taste tangy. Trying for health benefits. I’m going to try them on a salad for a fruity addition. Nutstop is a fabulous vendor. Fresh product, great prices and fast shipping!